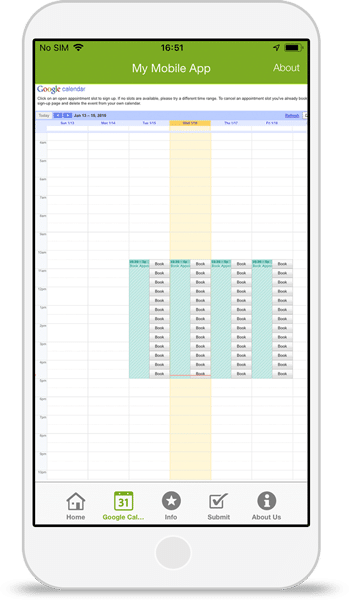 Create bookable Google Calendar Appointments and connect your shareable calendar within your app for a simple way to allow customers to book a time with you. Take your pick from a range of different business type templates or start off with a blank template. Simply enter your Facebook and Website URLs to pull in your business information and colour scheme. Connect your Google Calendar using our easy integration — no coding whatsoever! Launch your Google Calendar app in minutes with our simple publish wizard.